Want to drive a cleaner, more environmentally friendly vehicle and want to go one “greenie” step further than your electric car owning/leasing buddies? 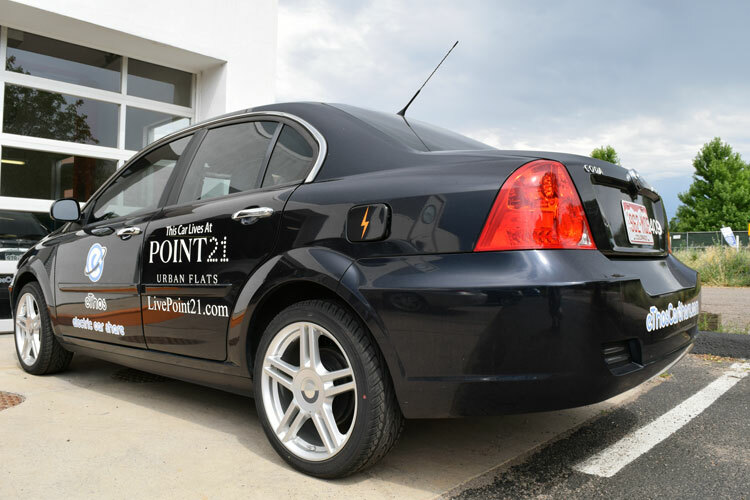 Why not give electric car sharing a try? It’s got the electric car, but without the extra work — or monthly payments — of a purchased or leased car. You have to move to Golden, Colo. [unless, of course, you already live there 😉 ]. That’s where Tim Prior, a long-time electric car advocate and activist, launched Ethos Electric Car Share in November 2014. 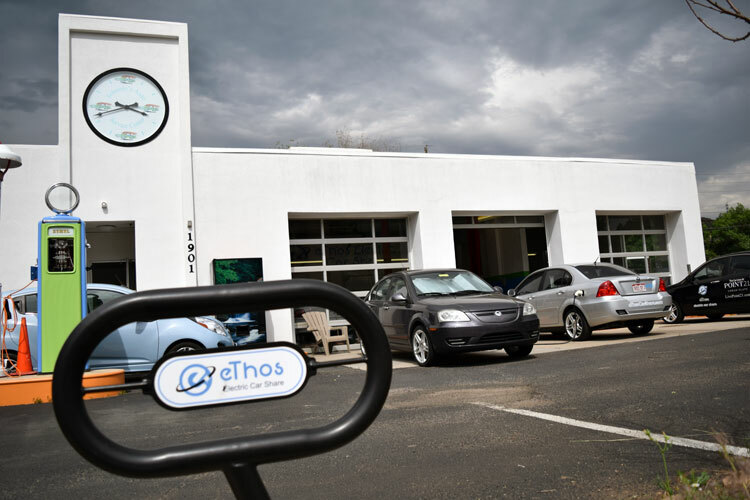 Ethos offers electric cars only — one Tesla Model S, one Chevy Spark, several Nissan LEAFs, and — get this — a fleet of CODA electric sedans, to its customers. Prior says that when Ethos launched in November 2014 it entered the market as the first car sharing company in the United States to offer its customers an electric only fleet. While we can’t confirm that 100 percent (we’re pretty sure Prior’s correct), we know one thing for certain: You aren’t going to find another car sharing company in the United States, or in the world, that offers the CODA electric sedan, of which barely more than 100 total were produced, as the primary car sharing car you’ll drive. Car sharing — which we at SolarChargedDriving.Com happen to think is THE future of driving once Fully Autonomous Vehicles (FAVs) arrive on the scene [sorry, automakers, that’s the impending reality] — saves you money, quite a lot of it. Better deals boost LEAF, Volt sales in U.S.